Moving a stressful task, requiring special assistance of packers when stressful feeling become outstanding. While doing an online search for these services you will find an extensive list of moving companies in Orange County. Choosing which company is right for your specific packing needs can be a complicated thing itself. You should not look for other company in Orange County! We take all the hassle and headache out of moving. The skilled team of packers at movers.best will handle your packing services with the utmost care and professionalism. Our moving packers are highly trained, courteous individuals that are here to make your life easier. We are capable of handling both residential and commercial transferring needs. No packing job is too big or too small! Whenever the need arises for a residential or business move in Orange County, careful planning in packing has to become a major task. We are here to make the transition as simple as possible. Movers.best is one of Orange County’s main go-to packing companies for residential and commercial moving. Professional in-house consultancy, being ready to help you at each step of moving and packing process. This person is an integral part of the packers team. The consultant will help you to come up with a schedule and course of action that best fits your needs. Once the move is complete, the consultant will be there to help you, your associates and your customers adjust to the move. Experienced packing team that will work with you or your employees to ensure everything is properly packed and transferred to the new location. Employees are highly skilled packers when it comes to disconnecting and reconnecting computer equipment and other electronic devices. Proper packers for furnishings and equipment that you will not be moving to the new location (additional fees may apply). We are one of the top-rated Orange County packing companies and for good reason! Our company in Orange County does not work only with business clients. We also specialize in residential moving and house packing services. We offer professional packing by our trained team that consists of friendly, helpful individuals that are ready to assist you in any way they can. Depending on your needs, the professional packers in Orange County can prepare and organize entire house relocation, or movement of just few pieces of furniture. As mentioned at previous step, there is no job too big or too small, we can handle it all! Move coordination and planning that will assist you from the start of your move until you are settled into your new location. Professional moving packers that have the experience and know how to get the job done with ease. Staff will work alongside you to get your belongings properly packaged and ready for transport. Upon arrival at the new destination, the same staff members who helped you pack your items will also be there with you to unpack and get things situated. Staff that is thoroughly trained in disconnecting and then reconnecting all your computer devices, home electronics and appliances. Disassembly of large furniture pieces then reassembly and set-up at the new location. We suggest hiring personal interior designer that is available to provide an insight on organization and the décor of your new place. The designer will be there to offer suggestions on how to utilize your space and any other tips you may need when setting up your home. Let the warm, friendly staff at movers.best help you with all of your commercial or residential moving needs. We will be by your side from beginning till end. 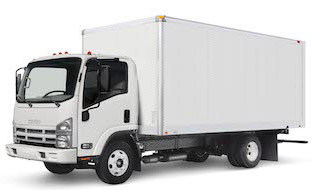 Our company has been a staple of the moving industry in Orange County for many years. The dedication to the client’s satisfaction is the secret to our longevity. Regardless, if you are moving across town or to a whole new city, we have you covered. We have crews that cover the surrounding communities; contact us to see if there is a truck available in your area. We offer competitive rates on a variety of services. Retrieve an online quote or give us a call today (855) 448-9844 to discuss your specific situation.